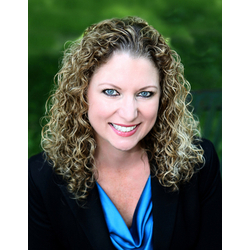 Julie Grandaw is the owner of DWI Solutions LLC helping clients make informed decisions after an alcohol related driving incident (DWI/DUI) to maintain or regain their driving privileges by connecting them with the right resources at the right time. Services include: driver's license reinstatement, insurance coverage (SR-22), special "whiskey" plate registration, and ignition interlock device installation. Julie is also an officer in the Minnesota National Guard with over 23 year's military experience holding the position as public affairs officer for more than 10 years. In this position, she is a senior leadership advisor and public spokesperson for the organization specializing in media relations, internal and external communications, and crisis management. Additionally, she has worked for two fortune 500 companies holding positions as manager and key account/stakeholder developer. She received her Master of Business Administration Degree (MBA) from the University of Minnesota-Duluth (Duluth, Minnesota) and her Bachelor's Degree in psychology from Northern Michigan University (Marquette, Michigan).